Wajahat Mansoor, a name of pride, style and elegance. He is one of the most re-nowned personalities in the fashion industry. Publishing over 5 big fashion magazines and shooting with the most famous models of Pakistan, he has been the master mind of his field. From Diva to the Mag, from She to the Sensation, from Fashion to the Women One, all the designs and artistic products are the bare proof of Wajahat’s hard work and talent. 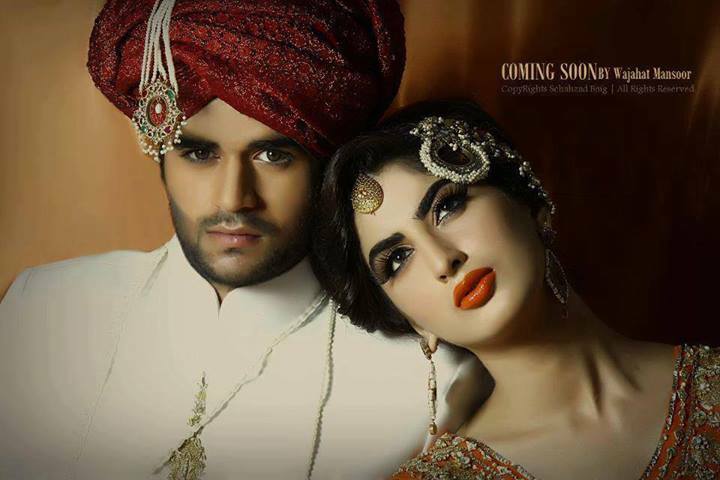 He has worked with famous super models like Meesha Shafi and Abeer Adeel. With his beautiful eye-catching outfits, his outlet is located in Karachi. 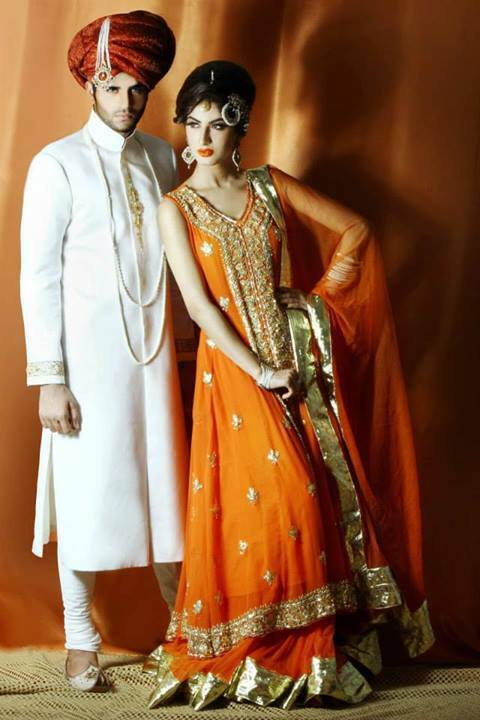 Wajahat has tried to inspire the local Pakistani culture with the western colors. His Hawaii Collection has been its evidence – which consisted of long embroidered shirts, but with that he has also worked to retain the traditional status of Pakistani rich dressing. 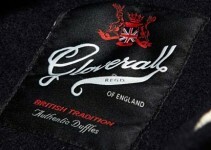 The beauty in his art is that he works for all the different areas of dressing industry. He prepares all kinds of designs; Party, occasional, common and showbiz. Wedding Dresses for Brides and Grooms are his specialty. In grooms’ dressing, he comes up with Sherwanis along with the traditional turbans and Khussa. These symbolize the dignity and glory of males in the society, his color selection for the models is very impressing. In the case of brides, he shows the eye-catching Long Shirts and Pajamas. These shirts are embroided with ‘Dabka’ and Stones. Some models also present his gloriously designed Lehengas having heart-melting dark colors and stone and ‘Karhai’ Work. In the 50th anniversary edition of the She magazine, Wajahat Mansoor exhibited his Royal Attire Wedding Dresses Collection. As reflecting from the name, his designs in this collection imparted a royal gesture at the bodies of the models. A captivating bridal couple is shown in the magazine. Groom wearing the superb red turban embroidered with red stone and golden chain, along with off-white Sherwani and traditional Khussa. The red color of the turban is the symbol of pride, as known in the Punjabi culture. Its red color also symbolizes the love and affection related to the couple and the beautiful and romantic life they are going to lead together. The sherwani is having soft dabka work at the sleeves and chest, with the banned-collar. Apart from that, the long bead-chain imposes a glorious spell on the on-lookers. White color is cleverly chosen as a symbol of peace and contentment, also depending upon the complexion and physique of the groom. It is the beauty of Wajahat’s art that he keeps simplicity in his fashion; such designs are acceptable and affordable with all the types of people. The bride in the picture is wearing embroidered long shirt and Lehenga. The orange color of the bride’s shirt shows the joy and excitement of the life. Her shirt is heavily embroidered with golden dabka work. Her make-up is done in matching with the dressing. Orange lipstick, white ear-rings and ‘Jura’ hairstyle, all that makes her an Eastern princess. Wajahat retains the western shyness in his models to ensure the cultural inheritance. The model is shown hiding her face under the ‘Dupata’ which shows the shyness in the typical Pakistani women. The collection is a well show of the strong bond between the bride and groom in our culture. In another picture, the bride is shown close to the groom, presenting the love and affection. Apart from that, other couples are shown, one with groom wearing Black Sherwani and muffler and bride with blue embroidered long shirt. 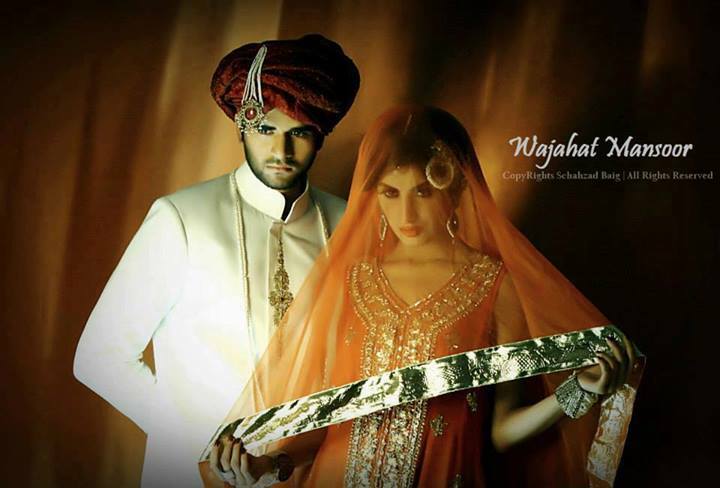 There is no match of Wajahat’s designs and the choice of models for his thought-awakening and breath-taking shoots.